The Gang Show goes back a long way. The very first one put on by Copthorne Scouts was in 1958 and was performed in the village hall. Just prior to the performance, a telegram was received from Ralph Reader, the famous producer of the London Gang Shows. The cutting is from the local paper and if you click on it you will be able to see the write-up. If you look very hard you will see a very young Harold Cheesmur! 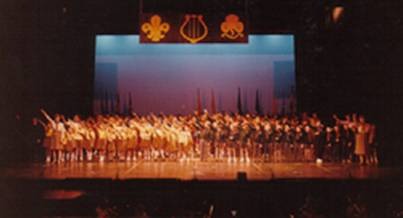 In 1967 the first of the joint Scout & Guide Shows was performed. This was a pantomime - There was an old woman who lived in a shoe. 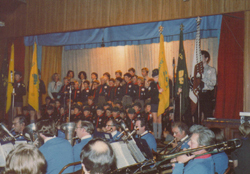 It was performed in the village hall before the side rooms were built. There were about 70 in the cast and had to change in two small rooms behind the stage - cozy!! 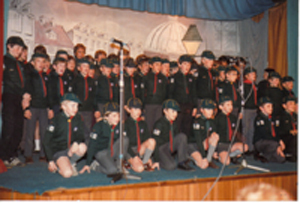 The first Gang Show at the Hawth in Crawley was in 1991 with one performance as part of the Crawley Festival. The dress rehearsal was in the afternoon and then straight into the performance. Props had to be broken up as they came offstage to be put straight in the vans to be taken away. Shows have been bi-annually since then and the cast has remained steady at around 200. 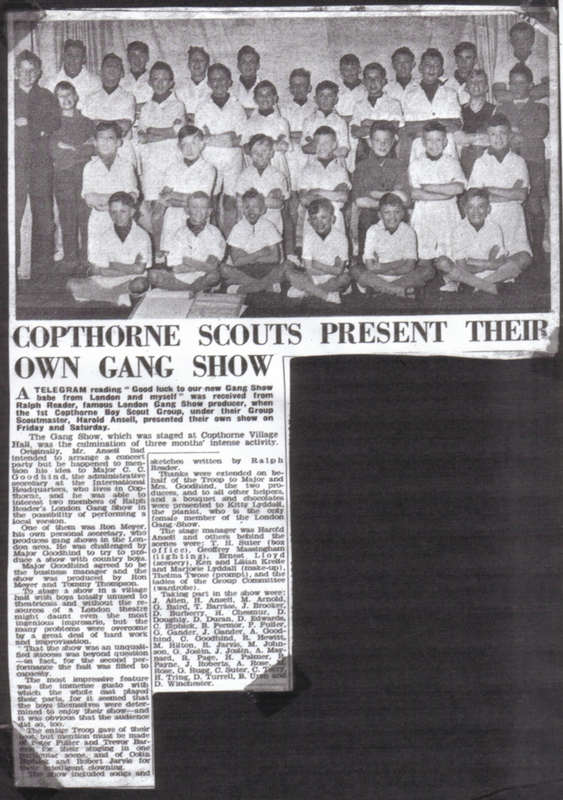 Somewhere in all this time the Baden Powell Players were formed which then turned into the Copthorne Players who are still going strong in the village.